Properties in Nerrina average 4.6 out of 5 stars. Property 9: Eureka Views B&B 3 Bdr. Family, Couples, Groups. Fully equipped. 5 mins to CBD. Property 32: Fabulous Location in Lake Gardens Estate. Property 44: Lascelles: Luxurious. Boutique. Central. My daughter and family stayed in this rental for four weeks recently. They found everything to their satisfaction, had no problems at all. 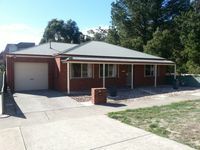 The rental is located close to shops and bus stops into town, its clean and quiet. Thank you Tamara for accepting our stay in your property. A special place for a very special occasion. Walking distance to all amenities and hospitals. Accommodation brilliant, a restoration done to high standards.